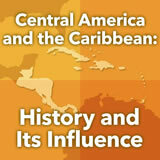 Students learn about the role of the Spanish in the colonization of Central America and the Caribbean. They read about the history of Central America. 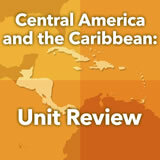 Then they examine the history of the Caribbean and compare it to the history of Central America. Finally, they develop an idea for the observation of the International Day of Remembrance of the Slave Trade and Its Abolition. In this experience, students learn about the role of the Spanish in the colonization of Central America and the Caribbean. They read about the history of Central America. Then they examine the history of the Caribbean and compare it to the history of Central America. Finally, they develop an idea for the observation of the International Day of Remembrance of the Slave Trade and Its Abolition. 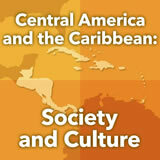 Describe the early civilizations of Central America and the Caribbean. Explain the impact of Spanish colonization and the slave trade on the region. Compare and contrast Central American and the Caribbean. 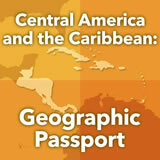 Take a look at this map of Central America and the Caribbean. 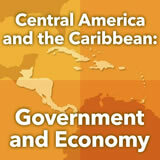 What do you notice about Central America and the Caribbean from the map? Discuss student responses. Answers will vary, but students should note that the region is primarily colonized by the Spanish. Based on the information in the map as well as what you know about European colonization in South America, Asia, and Africa, what can you guess about the history of this region? Discuss your responses as a class to see what you come up with. Then, as you move through this experience, see if your guesses were correct. Answers will vary, but might include: native people were used as slaves, native people were oppressed and forced to work for the wealth of the Europeans, eventually the native people were able to get their independence, the language of the region is now the language of the colonizing country, etc.